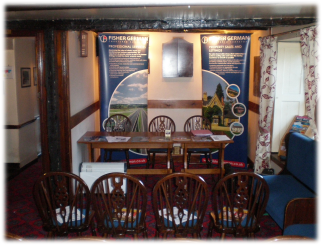 Leading licensed property agents Guy Simmonds sold The Kings Head, Altarnun at an on site auction on 10th February 2009 in conjunction with specialist auctioneers Fisher German LLP. 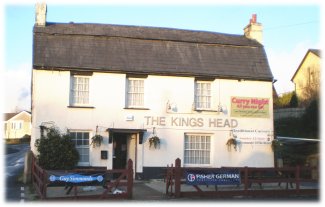 The Kings Head was successfully sold (after attracting several bidders) to a local buyer keen to continue and enhance the pubs current success. Contracts were exchanged on the evening and completion scheduled within 28 days. Quoting a guide price of £270,000, the present owners offered the Freehold property for sale by auction to give prospective buyers a fighting chance and the sale has brought some much need confidence back into the local market. Reputed to be one of the prettiest villages in Cornwall, Altarnun stands in a triangle of villages and hamlets which form a backdrop to the sale of The Kings Head. There was good local interest shown from this strong rural community with past and future customers keen to learn the identity of their new landlord. Variously known as The Indian Queen, and The London Inn, The Kings Head dating from 1623 was a staging post for coaches, and a meeting place for Roundheads and Cavaliers.